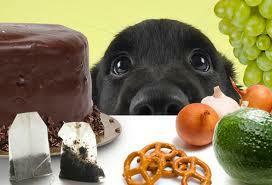 Did you know some plants & foods can be toxic to your pet? If your pet is showing signs that they are not feeling well, you may want to remember some of the plants they have recently been around or foods they may have eaten. Our staff has put together an educational display in our clinic of more toxic plants, fruits & foods. Want to learn more about pet health? You can also visit our website and look under “Pet Health.” There are articles, educational programs and videos that you can view. You can also sign up for a password and have increased access to tips and video clips.